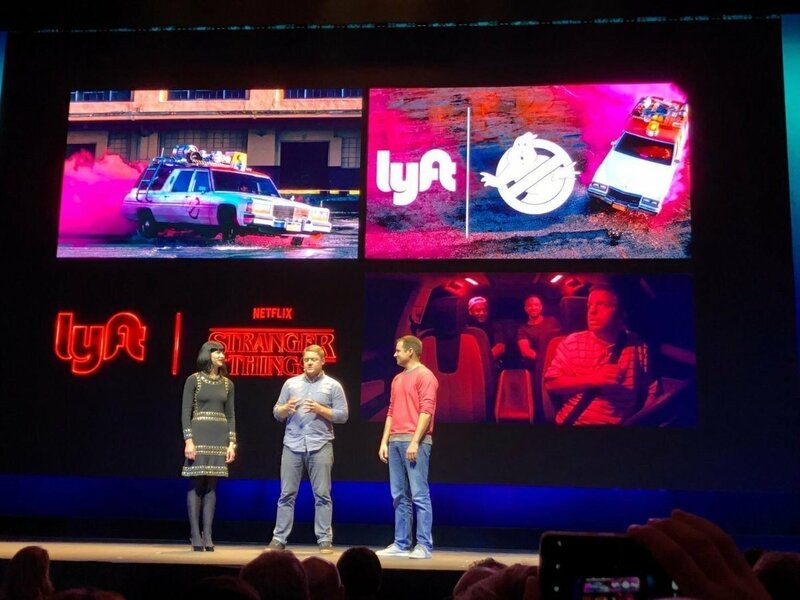 We saw it at #UniteLA with the partnership between Lyft, REWIND and Unity Technologies during the keynote talk: “Using Augmented Reality To Enhance Lyft Rider Experience.” This is a great example of collaborations that are happening between brands in different industries that have different strengths to create overall greater value for customers. If there is no longer a need to drive and pay attention to the road, what other opportunities arise from being in a confined space for sometimes, long periods of time? What other things would you do with this extra time? a. As seen on The Voice: Hailey Steinfeld recently performed her new single from the upcoming movie, Bumblebee, live on TV. Brands are now more engaged with creating experiences to tell their brand story. Bumblebee was featured in the front row of the audience in the semi-finals of The Voice, where seats were cleared to give him space to watch the performance with the audience. We saw it at #OC5 with the panel talking about the case study of Walmart — “Training, Transformed: Walmart Explores VR at Scale.” Walmart is moving towards a big goal to train 1 million people in virtual reality (VR) within the next 12–18 months. They are using VR to create real-life experiences that can occur on the store floor (such as spills, accidents, poor customer experiences) and testing these experiences in a controlled environment to better train their employees. A great result to better employee training would be to reduce costs and increase profits. This would help create a real business case for AR/VR experiences within enterprises. Walmart is focused on improving their employees’ “compliance and soft skills”through VR employee training via utilizing portable Oculus Go headsets. AR/VR is proving to add more value for enterprises as the ideas and technologies keep improving. It will be exciting to watch the opportunities and challenges that arise in the new year. Thank you, as always, for reading! Wishing you a happy holiday season!